(Newser) – With one tweet, a big victory for one of the subjects of Netflix's Making a Murderer has been revealed. "We Won!!!!!! Back to the circuit court," Steven Avery's lawyer, Kathleen Zellner, posted Monday afternoon, announcing the news that her most high-profile client had won his motion to appeal from the Wisconsin Court of Appeals, Newsweek reports. Avery, 56, who's serving a life sentence for the 2005 murder of photographer Teresa Halbach, had sought the appeal based on the argument that the state had mishandled evidence, specifically bone fragments that Zellner had sought to have retested for DNA evidence, WLUK reports. When Zellner filed the paperwork to have those bones tested, it was found they'd been given to the Halbach family, which she says was a violation of Avery's due process, as the defense was never informed. My thoughts on a System allowed to operate without reprimand. This enclosed system that feeds off people. An Evil that disregards flesh. An Evil allowed to sinfully admonish it's own privilege. Any outside influence saying this is problematic to survival. I do not understand why it has taken so long. And as I do understand how corrupt and unworthy supporting a Hero Class has always been. Let me remind everyone. Wisconsin has never been fertile ground in which Heroes differentiate between whats right and what is self preservation. I want my MTV. I live in Wisconsin. 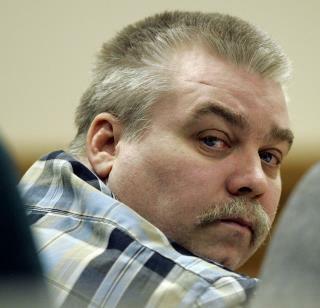 Steven Avery was wrongfully convicted once before and he spent 18 years in prison for a crime he didn't commit. I don't mind giving him another trial in light of some of this evidence just be certain we did the job right. I don't know about Steven Avery's guilt. It certainly would require an elaborate effort on the part of the sheriff's office to frame him: you'd almost have to believe they killed that girl themselves in order to set it all up. Like the O.J. farce, it would be a scheme that would just require too many people to be in on it and no weak links to crack, which basically never happens. In the case of the nephew, however, I have serious doubts about his involvement. Police can coerce false confessions out of people who are smarter and more mature than he. I take any information he gave them with a giant grain of salt. And if they fed him their own theory of the crime which turns out to be inconsistent with the facts, they may have shot themselves in the foot when it comes to Steven.